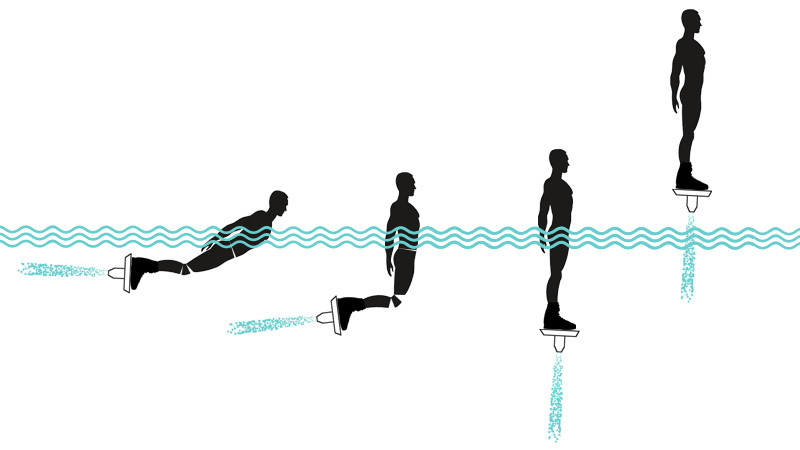 Jetboarding is based on balance that the rider needs to find themselves. Personal water craft only produces the propusion, so the rider also needs to steer the board. Moving in the water is easiest when laying on stomach with straight legs and just a little bit arched but relaxed upper body. Rising above water might seem a little tricky at first, but starts feeling easy after couple of tries: start moving the board under you by rising your upper body and thighs to vertical position, then press the board under you and simply stand on it. 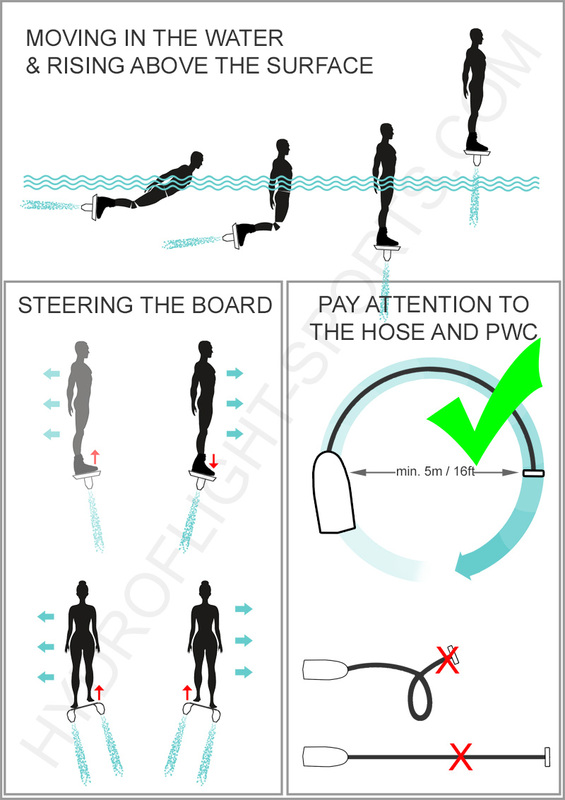 Start steering the board forwards when risen above the surface by pressing your toes down. Riding in a circle or "chasing" the pwc is recommended: if you loose pwc from your sight and start riding straight forward the hose straightens, pulls your legs underneath you and makes you fall on your stomach (not dangerous, only frustrating). It is usually recommended that the rider doesn't make a circle in front of the pwc with beginner level throttle. Operators give their own briefings before the session, but there's also a lot of how-to videos on YouTube to watch before your first tryout. Tricks section for beginners to pros coming up - stay tuned!